The 2018 Buick Regal isn’t going to be too much of a surprise when it officially show face, but the kind folks at the brand have told us we will finally know all about the midsize sedan on April 4, 2017. The 2018 Regal will be revealed one week before Buick takes the wraps off of the 2018 Buick Enclave, with both vehicles debuting just ahead of the 2017 New York International Auto Show. And, judging by the 2017 Opel Insignia Grand Sport, there’s going to be a lot to take in with the 2018 Regal. Buick stated the 2018 Regal will “continue to be the most athletic member of the Buick family,” meaning we’ll likely be treated to the same, range-topping Insignia Grand Sport here in North America. That model includes an intricate, torque vectoring all-wheel drive system among other sporting cues. Much speculation has surrounded what will be placed under the hood this time around, but we can expect the 2.0-liter LTG turbocharged four-cylinder engine to show face yet again. A smaller displacement four-cylinder is also quite likely. We also know Holden will receive a 3.6-liter LGX V6 engine as its range-topping, 2018 Commodore and we’ve heard that engine will also be seen in North America, too. As Buick concluded its new product news, it also seemed to address the station wagon-sized elephant in the room. The brand stated “much speculation” has surrounded the 2018 Regal, and it will “answer all questions” on April 4. 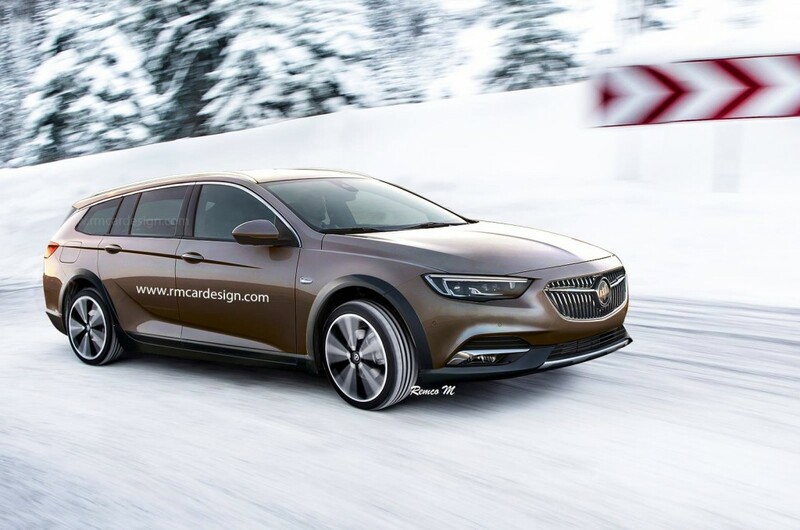 With the CTS wagon gone, we sure could use a new wagon from GM North America, and we have a feeling it’s coming very, very soon in the form of a 2018 Buick Regal TourX. Any word of a hybrid? I hear you on TT3.0 sure would be nice. While they are at it put it in the Lacross also. will it have HUD available? I would guess yes based on the images of the Opel/Vauxhall models having it.